Room 5 has been working very hard on our foyer display. We experimented with different styles of painting and enjoyed using pastels. We had fun blowing the paint through straws and seeing what happens when the colours mix , then we folded the paper over and saw the patterns that we had made - these became our butterflies. To make the patterns on our eggs we dipped our fingers in the paint and decorated them with our fingerprints. Our other egg pattern was created by marbles in paint! We had to scoop the marbles out of the paint and put them in a tray where our paper was. The tricky part was rolling the marbles around with out them falling out of the tray! Each student decorated their own daffodil using orange and yellow - the pattern and style was up to them. 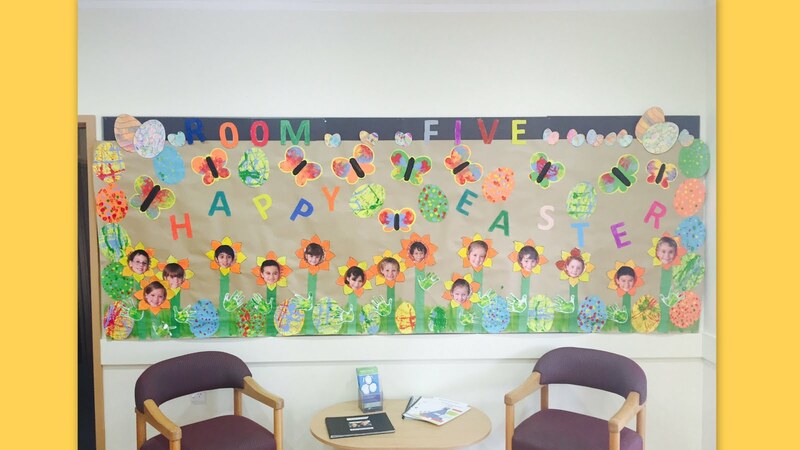 I think that Room 5 has done an amazing job, we hope you can pop in and see it ! Don't forget the last day of school is this Thursday. 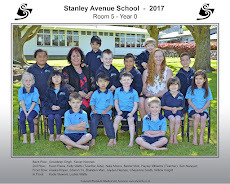 We hope you all have a safe and happy holiday break , I look forward to seeing all of the smiley Room 5 faces in Term 2. What a beautiful display...you are very clever artists! Busy start to Term 2.